It is a truth universally acknowledged, at least by Harry Potter fans, of which there are a legion, that J.K. Rowling is the smartest wizard of her age. She's Dumbledore, Yoda, and your best friend all rolled into one, but there is one title which Rowling does not get enough credit for: boss. The author is the work mentor you always dreamed of having — someone who will tell it to you straight while also being encouraging and challenging. Rowling's recent advice about being a writer (more on that in a moment) is one of the most honest and hopeful pieces of wisdom she's shared so far, and it confirms what I already knew: Rowling is a mentor on every level, but she is especially good at schooling people on what it takes to succeed professionally in life. Given her own humble beginnings which involved juggling motherhood, working odd jobs because she had to, and jotting down bits of what would one day be the story of Harry Potter, the boy who lived to inspire generations, it's no wonder Rowling has such flawless advice. Everything she accomplished has come about because of her hard work and the unique way she perseveres. 1. "Do what I did: pretend you want to do something else and write on the sly until you're free to do whatever you want!" A young fan asked Rowling for advice on how to convince his or her parents that writing is a "worthy profession." 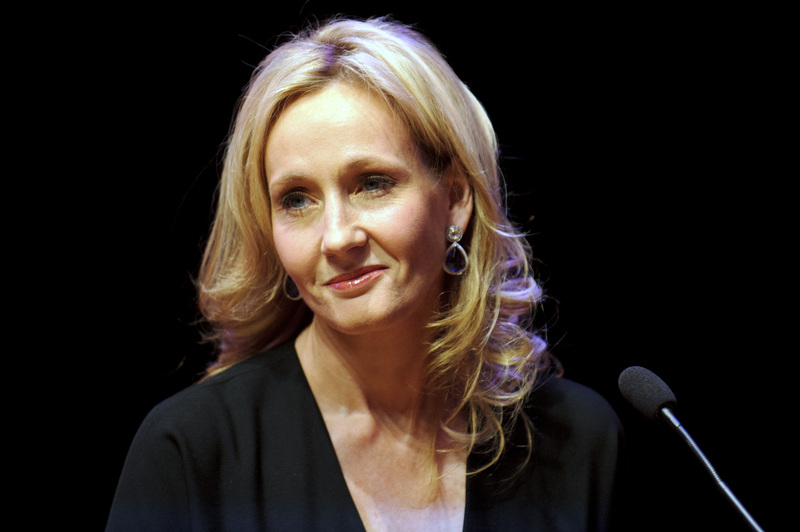 Rather than advising her young fan to try and persuade his or her family, Rowling instead advised that it was better to work hard and continue to write until the proof is in perseverance. In other words, don't let anyone tell you what to be, instead work toward what you want until you get there. Dream professions rarely ever fall into someone's lap, but if you put the time and energy into keeping your ultimate goal alive, there shouldn't be any reason you won't succeed. 2. "Some failure in life is inevitable. It is impossible to live without failing at something, unless you live so cautiously that you might as well not have lived at all — in which case, you fail by default." If you want a career, any career at all, you have to make choices. You have to decide to be brave, to apply for the job you are certain you aren't qualified for, or to ask for the raise you know you deserve, but would rather walk over hot coals than talk to your boss about. Rowling understands the fear of failure can be daunting, but there is no shame in failure. When it comes to moving forward in work and life, it is better to be bold and fail, than to "fail by default." 3. "I think you’re working and learning until you die. I can with my hand on my heart say I will never write for any reason other than I burningly wanted to write the book." Unless you were born profoundly rich, chances are work will, in some capacity, always be a major part of your life. That's why doing something you hate can be so soul-sucking. Rowling is a big supporter of following your heart and your passion. Do what you love and if a day comes when you don't love it anymore, do something else. 4. "If you love something — and there are things that I love — you do want more and more and more of it, but that's not the way to produce good work." While this advice may seem uniquely suited for writers, it actually applies to any career. If you settle into a sweet spot and whatever work you are doing becomes easy, then the impulse is to stop moving forward. Rowling loved writing about Harry, but she also knew there were other stories inside her. Similarly, if you are avoiding challenges, then you may be hurting your career whether you realize it or not. 5. "You control your own life. Your own will is extremely powerful." It is all too easy to see your career as something that is in the hands of everyone in the chain of command above you. Rowling chose her own path. Success didn't fall into her lap. Never underestimate the power you have to push your career in the direction you want it to go in. 6. "You have to resign yourself to the fact that you waste a lot of trees before you write anything you really like, and that's just the way it is. It's like learning an instrument, you've got to be prepared for hitting wrong notes occasionally, or quite a lot." There is a good chance that you may only have the vaguest idea of what you want to do with your life right now. That's OK. Rowling knows there is always trial and error. Not everyone knows what they want be when they grow up by the time they are grown ups. Try everything and eventually you'll stumble onto the thing you do best. 7. "Personal happiness lies in knowing that life is not a checklist of acquisition or achievement. Your qualifications are not your life." One of the best pieces of advice Rowling has ever given about work is that it isn't everything. The best work mentors will tell you to work hard, to be proud of your accomplishments, but to also know your life is measured by more than what you do behind a desk. See? Rowling is the best work mentor ever. While you can't go knock on her office door whenever you're having a crisis, her words of wisdom are always out there waiting to lift you up when you need them the most.